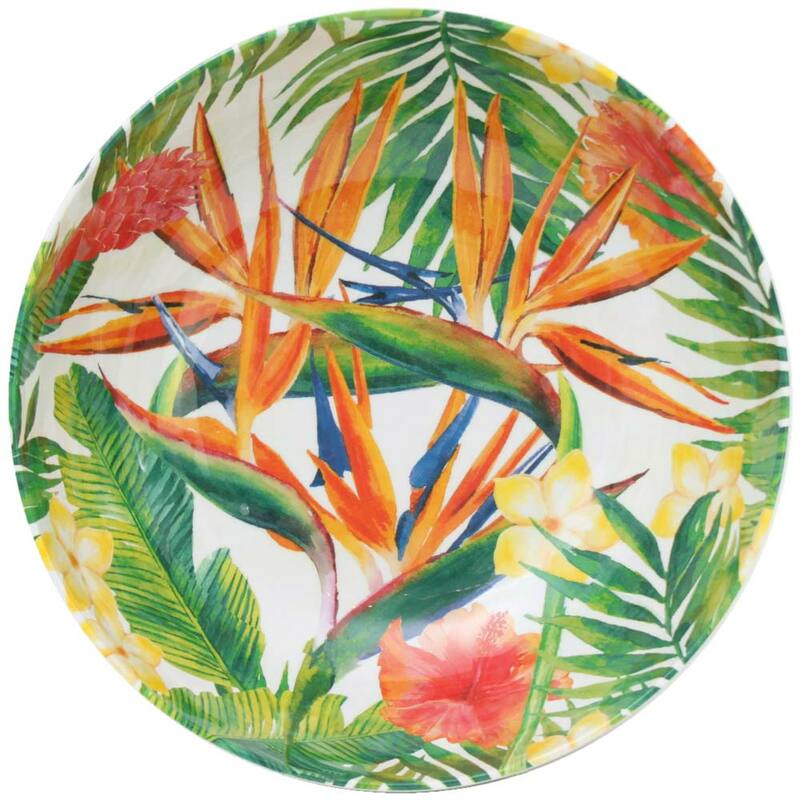 Use this georgous large salad bowl in melamine of 31 cm as well inside as outside on the terrace, by the pool, during a big lunch with family or friends. 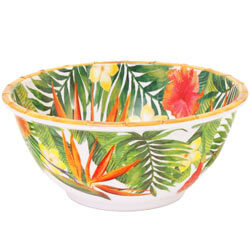 It’s a bowl worthy of your most beautiful salads, and a centrepiece that will definitely have your guests talking. Why not using it also as a punch bowl ! 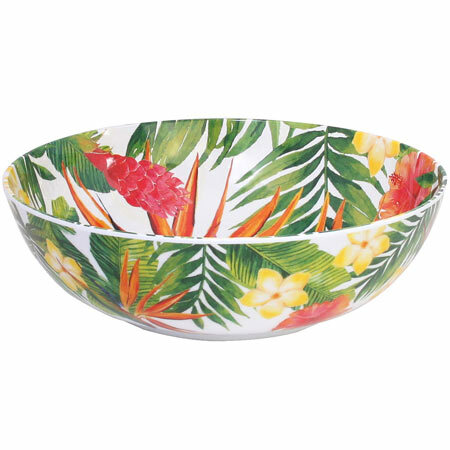 Take care over your presentations with this large salad bowl featuring beautiful Exotic Flowers patterns inside and outside. 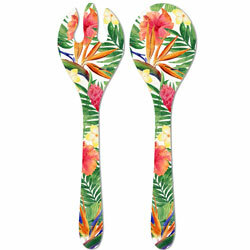 It will be perfect for your most beautiful mixed salads and fruit salads ! 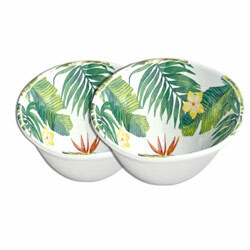 The salad servers of the same collection will fit by this large salad bowl. 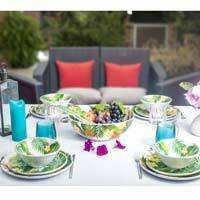 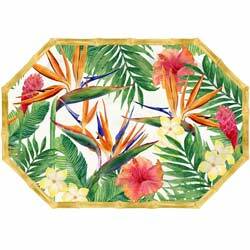 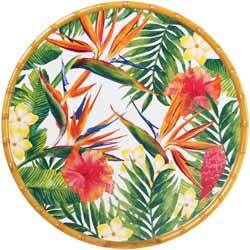 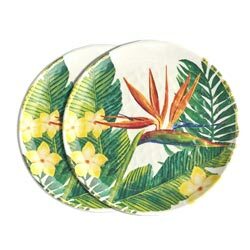 The Exotic Flowers collection include small plates and large plates, bowls, a large salad bowl , a hollow salad bowl, salad servers, a long dish, a round dish, an octagonal dish and a large serving tray. 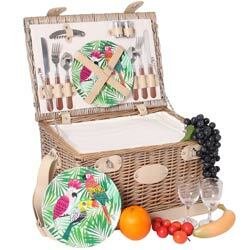 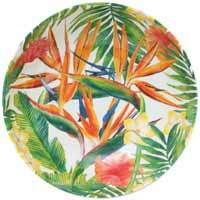 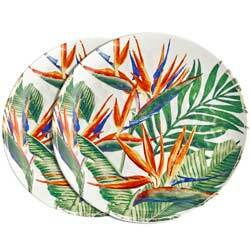 A colorful range with exotic patterns ultra trendy ! 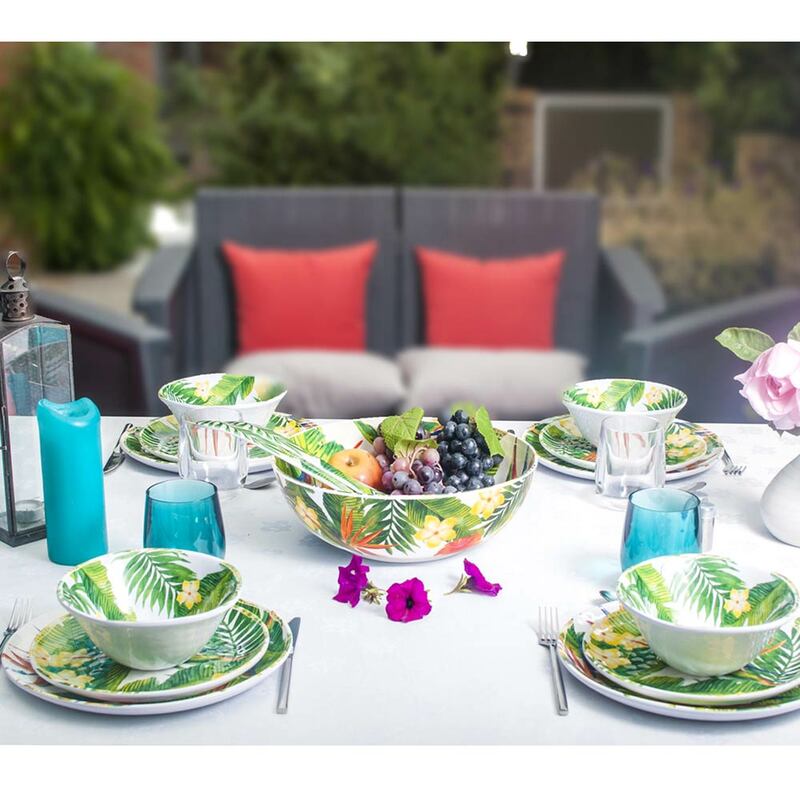 The crockery can be dressed in only one motif or be married with the serving of the United Colors collection to create unique et personalized tables, which will do the admiration of all your guests.